Bilingualism, like many of those ideas that inspires love and hate at the same time, has grown a few myths around it. We have all met that 60s or 70s child, product of a multilingual, multiracial, multicultural family, who is however monolingual and absorbed with the life of the country of his birth. When asked about his roots and linguistics ability, this 60s-70s child responds that his parents wanted him to fit in, didn’t want him to get confused, wanted him to learn to speak… and lots of different reasons that for most of us, parents of bilingual children, seem like lame excuses. However, these 60s-70s parents were not using excuses, they wanted the best for their children and apparently being a monolingual, totally or almost totally ignorant of the other family cultures was the best they could think of. It was not really their fault, misguided scientists and psychologists and well-meaning teachers, social workers, etc contributed greatly to the great myths of bilingualism. Which by the way, you will find, are just that, myth. Just recently I came across an article which highlighted some of these myths and explained how and why these are not true. The ideas i n this article are not new, I had already seen them before in other books and articles, but I thought this is a very concise and clear way of getting the information across. The article is The more, the merrier: facts and beliefs about the bilingual mind, by Antonella Sorace, University of Edinburgh. Sorace disproves the theory that bilinguals are more intelligent than monolinguals, although she does support the belief that bilingualism does indeed help keeping the brain active and creating links between neurons and the different parts of our brain, which in fact is all positive. She does touch on something that I have always thought important. Scientists and people who although interested don’t really know much about language acquisition often tend to forget something important, learning a second language at age 2 is not the same as learning it at age 10 when the first language is already settled. The result being that we use slightly different parts of our brain and different skills to tackle this new language. Sorello also supports the theory that a second language learnt early in life, before a certain important threshold, will be treated by our brain as a native language, while it is very unlikely that a second language learnt later in life will ever be equated with a native language. One can achieve maximum fluency, but there will always be processes that will not follow the same path as a native language, and therefore it will slow down. For me one of the most important debunking that Sorella does in this article is the famous, “your child will get confused and will never speak”. It is almost painful to think that if those misguided scientists in the 60s and 70s had read her article, we would not have had so many parents wrongly depriving their children of their cultural heritage. Sorella cleanly and clearly explains through a series of references to scientific papers the why it would be impossible for a human being’s brain to become utterly confused by several languages learnt at the same time. Something, that as she says, should really be clear as water just by looking into cultures where children naturally grow speaking several languages. Why do we think that the children of our technological society aren’t able to do that? It is utterly puzzling. 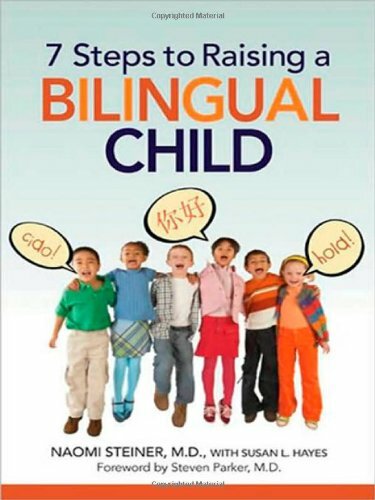 Sorella also debunks other widespread myths like the theory that children learning to speak two or more languages reach the speaking milestones later. 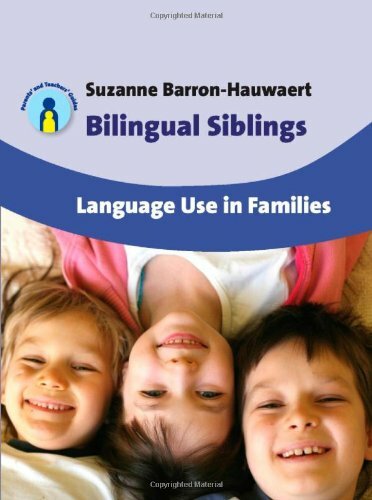 In fact she confirms that the acquisition of grammar and vocabulary in bilingual children follows the same pattern as in monolingual children. I thought this article is very inspiring and will please both skeptics and believers. It contains the theory backed up by proper scientific references for those who love to have it confirmed. There is also a very comprehensive bibliography at the end, you never know, you may find a stocking-filling idea in one of the titles! thanks for the post. unfortunately, these myths still believed by many parents. Very interesting. I’ve been finding out some of this by experience recently. There was me expecting a big language delay – not at all, and talking to others I found they had the same experience. As I was writing recently, the child seems even quicker to take on board the second word (in a second language) for the same thing than the first, it’s less trouble. Thanks for your comments. It was interesting to see in our last trip to Spàin, when my daughter was already speaking in comprehensive Spanish for her age level, of course, that a psychology trained friend of mine with very academical ideas about anything psychology was surprised that my daughter spoke so much Spanish. From an early conversation with her last year I gathered that she was a firm believer in reports and studies, and of course, many studies said that “there would be a delay” in language. I would be that these so called “studies” rarely take into account the lifestyle of the parents and similar things. It’s not the same to be brought up bilingual with two parents speaking the same language most of the time, than having the main language speaker speaking it to you 2 hours in the evenings and weekends because he/she works a lot. That’s so true isn’t it. My family are much more exposed to English than the native language of our country of residence. There are only a small handful of native level English speakers, no children. Its an exciting event if people try to speak English with them! I think with my eldest there was brief period where, compared to one or two other kids we knew, her language in English, while rich in vocabulary, was rather jumbled. Her Spanish always sounded very fluent and flowing to me, though. I soon realised that many monolingual kids her age were the same or worse and that she was simply more average in how language developed rather than precocious. So nothing to do with being bilingual. At 4 she’s as fluent in either language as your typical monolingual.